The Green Fund is a new program at Tufts that provides funding for the implementation of sustainability-related projects proposed by the Tufts community. 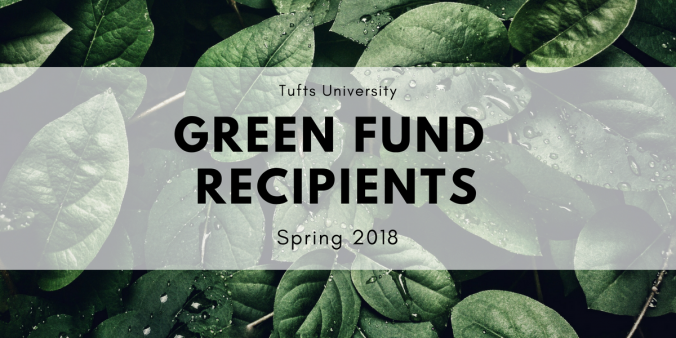 Managed by a committee made up of students, faculty, and staff from all four Tufts campuses, the Green Fund will help realize innovative and inspired projects that strive to make the campus a more sustainable place. The funds for the Green Fund come from the Sustainable Investment Fund‘s endowment payout which refreshes every year. This means that even projects that are not designed to have financial payback to the school are eligible. For this soft launch of the program, a total of $10,000 was available for funding. The Tufts Energy Group (TEG), a student-led group that focuses on engaging and educating the Tufts community about energy issues, has been working for the past two years on making solar power more accessible to Tufts students and faculty. TEG secured a $10,000 grant from SunBug, a local solar energy company that has already installed solar panels at the Somerville/Medford campus on top of Dowling Hall, to help realize a solar panel installment that will be more visible and accessible to the Tufts community. However, more funding is necessary to cover additional necessary construction and consulting costs, as well as the publication of educational materials and signage. The new solar panels will be visible on the south side wall of Hodgdon Hall, and the energy produced will be available for use by students to charge their electronic devices on the patio and in the common room during the months that the patio is not in use. With this project, TEG hopes to increase renewable energy usage and awareness on the Somerville/Medford campus and promote energy education and learning for students. Construction is tentatively set for early this summer. For more information on this project, email ryan.biette@tufts.edu. The Tufts University School of Dental Medicine has several ongoing “green” goals, one of which is to greatly reduce and eventually eliminate the use of plastic water bottles at all events and meetings held on their campus. The school had stopped providing water bottles at senior administrative, departmental, and committee meetings, and guests have been asked to bring in their own reusable water bottles. Pitchers of water were made available during these meetings for attendees to refill their bottles. 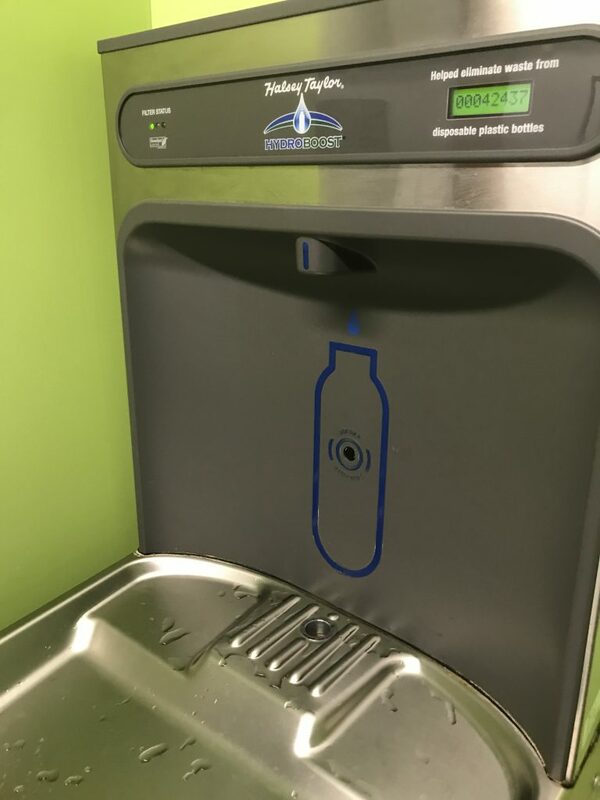 In order to further increase the usage of reusable water bottles, Mary-Ellen Marks, Jini McClelland, and Talita Turnier from the Dental School’s administration proposed to retrofit existing water fountains in the school with Rapid Water Bottle Filling Stations. While one of these Filling Stations is already located on the 7th floor of the dental building, the additional funding will allow the school to install one more Filling Station on a different floor of the building. 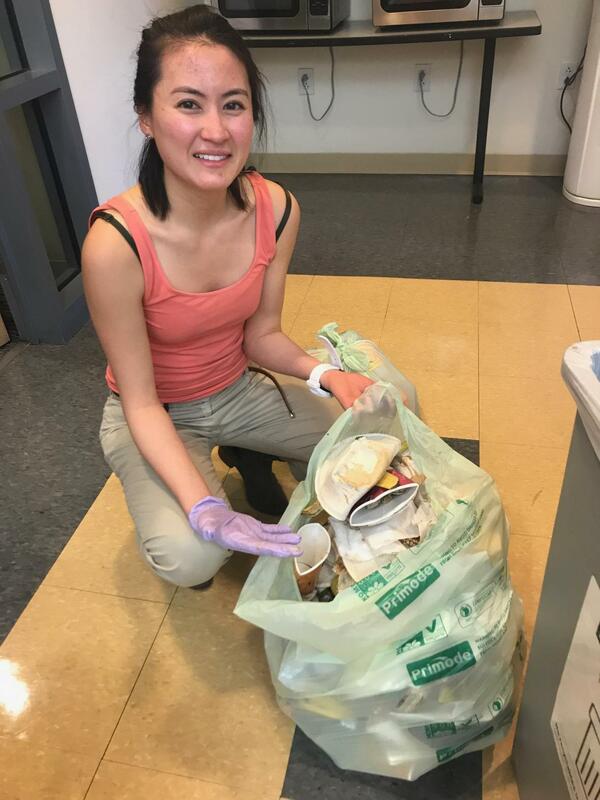 Michelle Lee Bravatti, a second-year Nutrition Epidemiology and MPH student at the Friedman School of Nutrition Science and Policy, set out earlier this year to bring composting to Tufts’ Boston Health Sciences Campus. In coordination with the Office of Sustainability, the Tufts Boston Campus Facility Services, and the Friedman Student Council, Michelle helped launch a pilot composting program at the Boston Campus. Previously, composting was not available in any of the Boston Campus buildings. Through this effort, four composting bins were established throughout the campus in three different locations. In order to help expand the program to more locations and to ensure that the program will continue, Michelle applied for funding through the Green Fund. These additional funds will help recruit and compensate a student program manager and two student volunteer workers to monitor and empty compost bins as well as spread awareness about the program, purchase biodegradable liners for the compost bins, and place additional bins in the Friedman and Sackler School buildings. For the next round of proposals this year, a total of $30,000 will be available to fund 1 or more projects. Moving forward, the program will be able to fund any number of projects with budgets adding up to $40,000. Proposal deadlines for future rounds will be posted as soon as they are determined. Through Brighter World, the university-wide funding campaign, it is now also possible for members of the Tufts community to make a gift that goes directly to the Green Fund. Find out more on the campaign website.